I’ve been a big advocate of the Weekly Review ever since I read about it in Getting Things Done. It’s been a non-negotiable part of my week and an important and fundamental aspect of the way I work for the past six years. The idea is simple. Take an hour the same day every week to review your priorities, clarify your next steps on your current commitments and goals, and make a rough plan for the week. Over the years I’ve been a bit overzealous about nailing down the “perfect” format. Should I include checking Slack in my review? Should I incorporate a portion to write a reflection on my last week? Should I include a silly phrase at the end to give my brain signal that my weekly review is completed? I started doing it on Sundays out of trying Cal Newport’s Sunday Ritual. Then I switched it to Fridays because Weekly Reviewing on Sundays often resulted me doing a full-blown workday on a weekend. Then I changed it to Monday mornings to “jumpstart” my workweek and get me looking forward to Sundays. And most recently, I went back to Friday afternoons. I’ve taken as long as three-and-a-half hours to do my review (blegh) to as little as thirty minutes (👍). All this being said, there is no perfect format, nor is there a perfect time and day of the week to do it. The perfect weekly review is fluid — it best serves you in your current moment and context. The changes in my Weekly Review over the years are a reflection of the changes in my career, goals, and aspirations (…and quite possibly my love for tinkering). Though there is no perfect format, I find it helpful learning about the way others do their weekly reviews. They give me ideas for how to make mine better. So in the spirit of contributing to the mix, here’s what my current Weekly Review looks like. If you’re consistent about doing your weekly review every week, it is the perfect place to include any other tasks that you know you need to do on a recurring basis. Need to submit your expense reports? Attach it to your weekly review. For me, this calculating any shared expenses I haven’t calculated yet in Splitwise, categorizing uncategorized expenses on YNAB (I use YNAB for my personal finances), submitting my business expense reports, and updating any weekly metrics I’m in charge of updating at work. I’m a big fan of getting small, administrative stuff out of the way before diving into reviewing my projects and setting goals for the week. I love the feeling of being clear and ready to “go deep” after blazing through the clutter and muck. The point of capturing these metrics just get a pulse on how I’m doing in areas I care about: health, well-being, wealth, family, and sleep. I constantly remind myself that the point of capturing these metrics in my weekly review isn’t to be self-judgmental about how I’m doing in these areas, it’s just to get a snapshot of how I’m doing in areas of my life I care about. These goals can be measurable (“Did I do my best to draft this client deliverable?”) or “soft” (“Did I do my best to be kind to myself this week?”). I try not to set more than five per week. 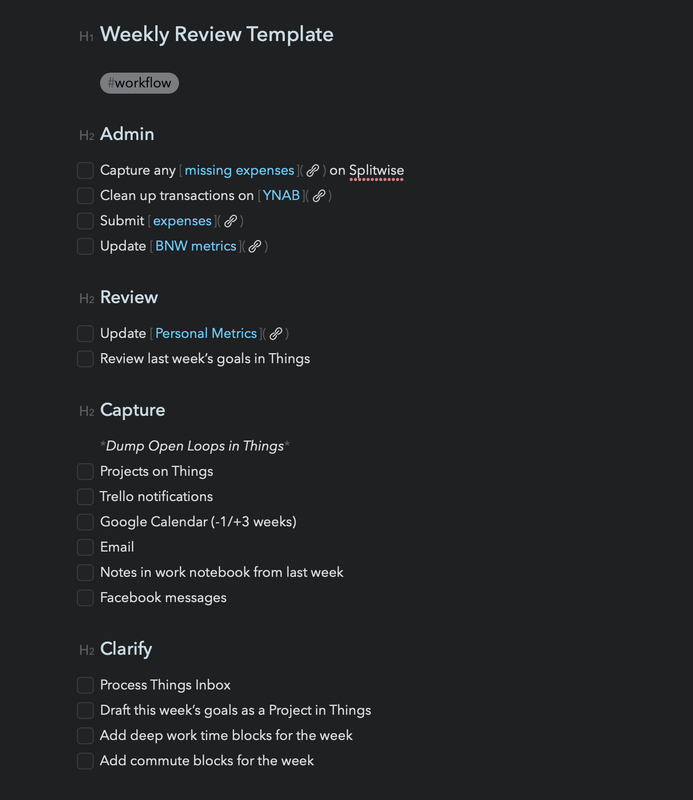 My weekly goals live as a Project on Things, a place I can easily refer to. Now, I capture any and all open loops (any commitment that’s unfinished) in my task manager, Things. I check my list of projects (any multi-step outcome I’m actively working to complete) on Things, Trello (my company uses Trello), my calendar, my email, and sometimes my Facebook messages (I rarely use Facebook, but I use it to keep in touch with family and sell stuff here and there). Sometimes I skip Facebook messages. One of my favorite productivity principles is to separate capturing open loops from processing them into clear next actions — most of the time we do at the same time, resulting in us reacting to every single open loop that pops up in our head. The key here is to just capture open loops but not make any decisions about them (yet). I want to dump everything out of my head into my trusted system to keep my mind clear. I used to include dumping open loops from Slack, but I’ve intentionally left it out. The reason is that I found myself spending a too much time on Slack during my Weekly Review as I struggled to not respond and read messages and just capture open loops. Because I keep an up-to-date project list, my work projects are already captured and covered. Now, I finally process my open loops in my Things inbox. What I mean by process is look at each thing and ask, is it actionable? If so, what’s is the next action here? When does this need to get done? What project does this live in? ?I basically do a modified version of GTD here, which I won’t write about in-depth (but if you’re interested, this flowchart is a great primer). This takes me about less than a few minutes, depending on how many open loops I captured. Current open loops in my Things inbox. Then I type up my goals for the week, again in the format of “Did I do my best to <accomplish this thing>?” I’d say this is the most cognitively taxing part of my weekly review because I have to put in some actual thought into what I want to accomplish toward the end of the review when I’m feeling mentally spent and am just wanting to get it over with. But it’s important, because my weekly review includes reviewing my goals from the last week, so I do it. Now that I have an idea of what I want to accomplish this week, I block off time on my calendar to work on stuff that takes a lot of focus. 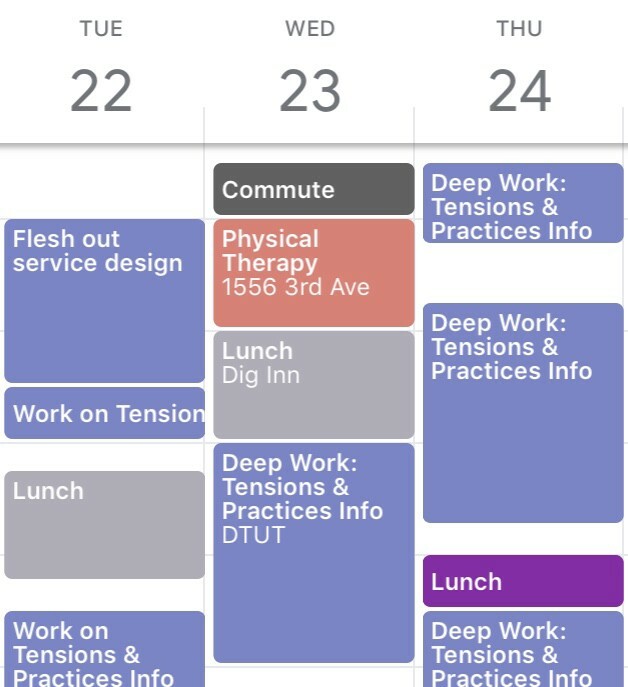 I’m a huge advocate for blocking off time on your calendar for deep work. I also make sure to block off time for commuting, too. I’m not super meticulous about this, but I like having a place in my review to capture any commuting blocks so I make sure I won’t accidentally schedule a meeting over it. 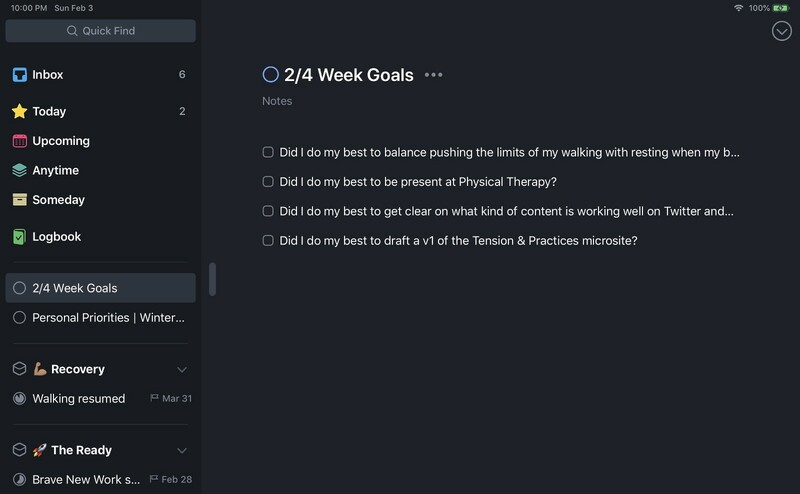 If all of this feels like a lot to you and you’ve never done a weekly review, I’d say this: figure out the most minimum version of what a helpful weekly review for you looks like, try that, and see if it works. I think an ideal weekly review is one that fits seamlessly into your life. A good weekly review shouldn’t fill you with a sense of dread the night before you have it scheduled. A good weekly review should fill you with a sense of excitement because it gives you a chance to be in a different headspace from your day-to-day grind and makes clear the connection between your actions and your goals. The point of a weekly review isn’t to perpetuate any perfectionistic tendencies. The point is to provide you a space to make hundreds of important decisions. 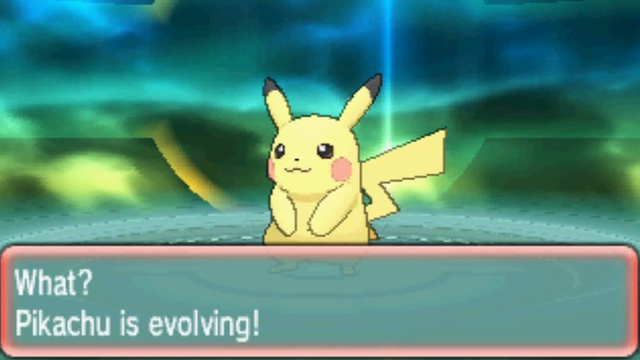 To be an engine that progresses you towards your aspirations and values. Do you do a weekly review? If so, what does yours look like? I’m Tim. I think a lot about how we can work more wisely, whether it’s through my work at The Ready (where I help global organizations change the way they work) or experimenting with my own personal productivity practice. Let’s talk on Twitter.